Jeanne Marie Seller, 52, of Hutchinson, died Monday, Dec. 19, 2016, at her home. Honorary casket bearers were Chris Stark and Daniel Aspaugh. Casket bearers were Ron Peterson, Warren Blossem Jr., Marlin Seller, Tom Blossem, Joe Fritz and Andrew Blossem. Jeanne Seller was born March 12, 1964, to Robert Sr. and Jacqueline Blossem in St. Paul. She was baptized and confirmed at the Church of St. Casimir. She graduated from Hill Murray High School, St. Paul, in 1982. She spent two years studying in River Falls, Wisconsin, and then studied at Ridgewater College in Hutchinson, where she received a machinist degree. She married Mark Seller on Nov. 8, 1986, and they raised their family on their dairy farm near Hutchinson. Mrs. Seller loved life, was compassionate and giving of herself, and was a reliable friend to those in need. 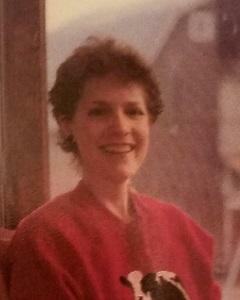 She loved dairy farming, and was an avid scrapbooker, outdoorswoman, gardener and apiarist. She loved her animals and vacationing on Des Moines Lake in Web Lake, Wisconsin, as well as Lake Florida in Spicer. She is survived by her husband, Mark, of Hutchinson; children, Christine and Dan Alspaugh of Grand Rapids, Michigan, and Mariah and Jared of Hutchinson; her parents, Robert Sr. and Jacqueline Blossem; siblings, Charles, William, Robert Jr., Brian and Barb of St. Paul; nieces and nephews; and so many others who cared for her. Arrangements were with the Dobratz-Hantge Chapel in Hutchinson.